MA in Art Theory and MFA from the Royal Danish Academy of Fine Arts. Suada Ada Demirovic is a visual artist, who works primarily with viceo and photography. 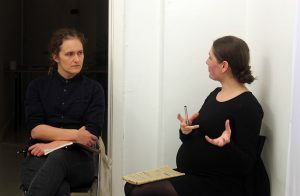 In her artistic practice she explores how historical, anthropological and sociobiological knowledge is generated, systemized, and disseminated. 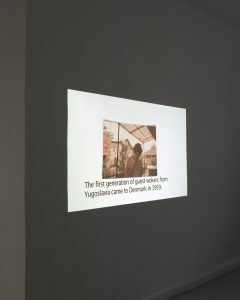 Recent exhibitions include In Translation at RaygunLab, Australia, and contribution to Hvidme Archive, Copenhagen. She co-founded of the International Art Festival Artist Run together with artist Honey Biba Beckerlee. Family Album 1952-1990 by Suada Demirovic, 2017. Photo: Kristian Touborg. From the filmscreening and talk on Nov 29. Photo: meter. 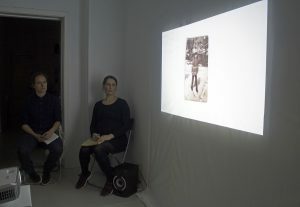 Suada Ada Demirovic presents her video work Family Album that tells the story of her mother as a migrant. 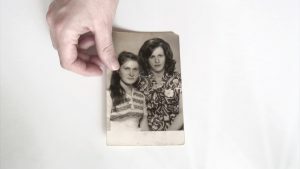 The video depicts both her and her mother’s hands as they go through the family album, from the years 1965 – 1982; pre 1990’s wartime in Yugoslavia. In 1970 Demirovic’s mother moved to Denmark as part of a surge of guest workers. A country she had never heard of or even imagined to live in. Her journey begins with overcoming the language barrier and being hired as a guest worker in the Danish chocolate factory, Toms. 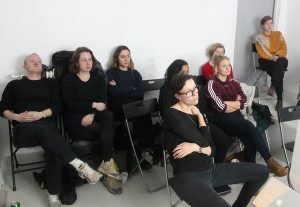 On Thursday Nov 29 there was special screening of the film followed by a talk with the artist Suada Demirovic and writer Nina Trige Andersen.